Mind Momentum is dedicated to supporting women (over 18 years of age), with: emotional wellbeing, relationships, motherhood & parenting journey, work stress and mental health. Thanks for visiting my site – it’s lovely to have you here. I’m Wendy, a mother of 2, and a professional counsellor and therapist. I specialise in supporting women with their emotional wellbeing, personal and professional relationships, motherhood and mental health. I provide support, nurturing guidance, information and education to empower you to become as happy and as healthy as you wish to be. Are you feeling stressed-out? …Having relationship problems?… Exhausted much of the time? …worrying too much?… feeling dis-connected from the people closest to you, or just unmotivated and moody? Do you feel that your emotions are out of your control much of the time? Maybe you snap at others and then feel guilty? …Or, maybe you just don’t have the energy to enjoy life in the way you wish you could? Please allow me to share with you, that one of the most important parts of choosing your counsellor or therapist, lies in your connection with them; the rapport, trust and relationship you’re able to build with them (it’s not all about qualifications or the type of therapy being used). Research studies in psychology have shown this over and over. 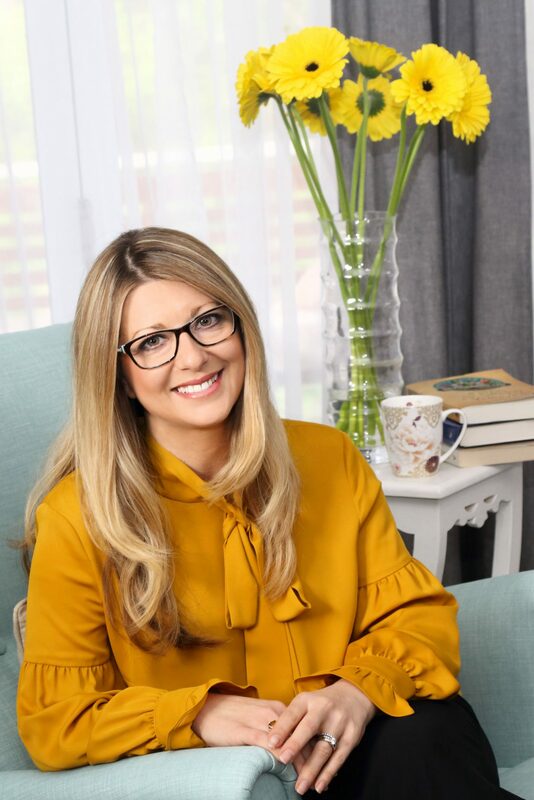 If you’re a mum, who’s tired of having worrying thoughts, struggling with your relationship, experiencing negative moods or feelings most days, or you seem to feel ‘lost’ or ‘flat’ since having children – I’m here for you. In fact, the majority of my clients are mums too. Or, perhaps you don’t have children (or you’re trying to conceive), and you’re feeling disconnected in your relationship, stressed with your work or career situation, experiencing anxiety or panic attacks, or you’re feeling unmotivated to make healthier choices to live the joyful, energised life you wish for, I’m here for you too. I’ve worked with many women around the world, to help them reclaim their sense of peace (and patience), joy, a greater sense of self-confidence and understanding, stronger connections and support with the people in their life, and ultimately greater happiness. They’ve strengthened their relationships with themselves, their partner, children, co-workers, friends, families and their outlook on life! Every day, you make hundreds of tiny choices. I believe the result of these many and varied choices contribute to the way you’re feeling right now. With my warm and open approach, I believe in building nurturing relationships with the women I support – based on honest, open communication, and mutual respect. • Support you toward your improved emotional & mental wellbeing. As we’re all different, and individual issues requires a different approach, I use an eclectic, evidence-based approach to counselling. Some of these approaches are Cognitive-Behavioural Therapy (CBT), Person-Centred Therapy, Solution-Focussed Therapy and Mindfulness-based stress-reduction techniques. These techniques can be extremely helpful in enabling you to gain greater personal insight, find your inner strength and confidence, reduce symptoms of stress and anxiety, balance emotions, and gain clarity and confidence to move forward in your life. I will help you get started on that road to positive change, and stay by your side, for as little or as long as you like. With many years of experience working with adults and young people in various environments, including occupational rehabilitation, human resource management, a drug and alcohol rehabilitation program, and mentoring (young mums program), I’m committed to helping you resolve whatever may be holding you back from finding your way forward. You’ll be supported in a safe space, as I work with you, in confidence, without judgement. Having travelled to many countries around the world, I’ve also lived and worked in China, South Korea, and Canada – and have a strong appreciation of how different cultures and values shape the ways in which we live. I’m married with 2 young children, and very much appreciate the challenges and nature of all things pregnancy, birth, the postnatal period, parenting young children, and the impact this can have on your life in every way! Are you ready to take the next step and make a commitment to your health and wellbeing, to start feeling better? Reach out for your FREE 20-minute consult and find out how Wendy can help you.